Jeanetta is a Licensed Independent Social Worker. 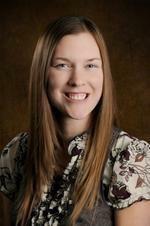 She earned a BA degree in Psychology from Dordt College in 2008 and a Master of Social Work degree from the University of Iowa in 2010. Her professional experience includes home-based work with children, adolescents and families. Areas of clinical interest include postpartum depression, anxiety, and childhood trauma. Jeanetta enjoys working with children and adolescents on behavior management, change of life problems and family issues.